After breakfast I went back to bed for a nap (my clock is still on Los Angeles time). 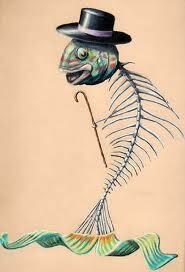 Boyfriend woke me up with stories of Mr. Trout. We wandered around the city looking for Dublin Castle for a bit, and heard some enormous noise coming from the city center. A formula 1 race was going on, so we went to check it out. So loud! We didn’t get to see any formula 1 cars, but we did see two very fast cars pull donuts right next to each other. We got some fish and chips from a chain called Leo Burdock, super delicious, best fish and chips I’ve ever had. And it looked like I got a whole fish! Way too much food. It was takeout only, so we popped into a hotel lobby and pretended to be guests while we ate and made use of their facilities. 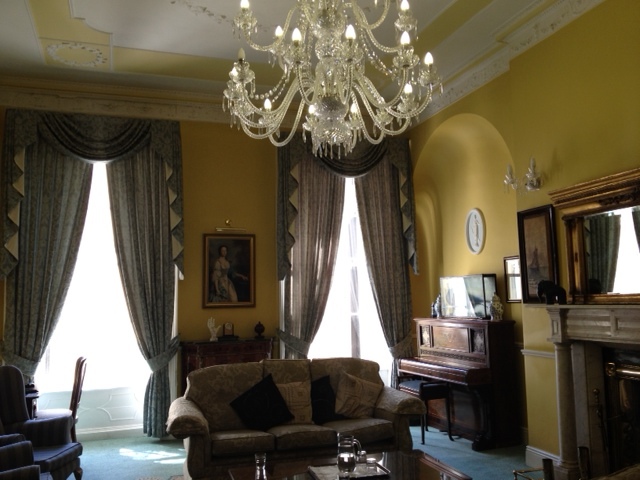 We finally found Dublin Castle, bought tickets for the 4:40 tour, and visited Dublinia, the viking museum! There were all kinds of dioramas with far too realistic-looking people (one of which is looking right at you as you turn a corner, super creepy), and a place to try on Viking clothes and helmets (which we did, with a fearsome pose). 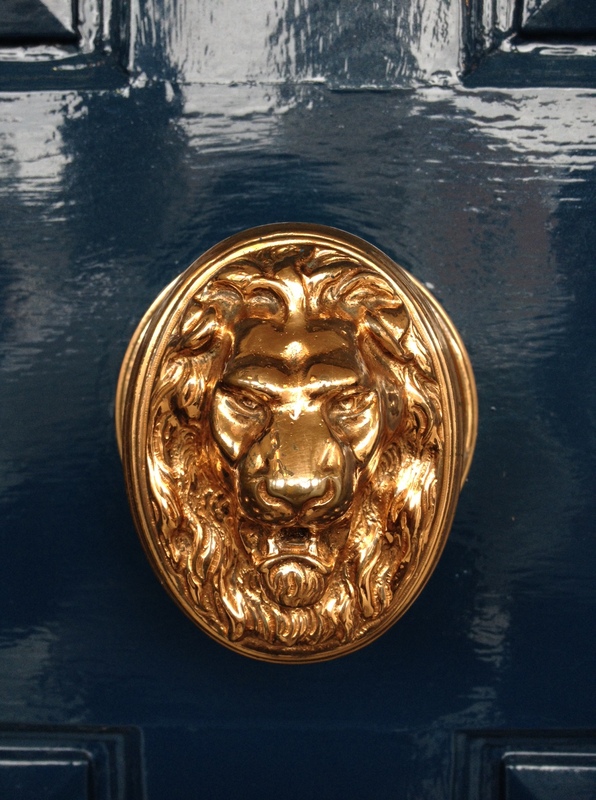 Dublin Castle’s front door knobs were shiny lions, raaargh! We rushed back to catch our tour of Dublin Castle, which I pictured in varying degrees of ruin, but it’s actually a fully functioning government building in most parts, and it’s just beautiful. It lacks the gaudy, gold-plated look of older palaces of Europe, and instead has a quiet sense of cohesion and historical class that other, more ostentatious European buildings seem to be dripping with. We got to see what’s left of the Powder Tower (where the kept the gunpowder until it all blew up and burned the castle for two straight days), which was super cool. The tour went too quickly. We were signed up for a traditional music pub crawl at 7ish that starts at Gogarty’s Pub, so we found the place, then relaxed at an inn by the river to get tea and recharge before the crawl. At Gogarty’s we had a cup of Guiness and a half-dozen oysters (delicious!) before we started out on the crawl. There was a guitarist with a lovely voice, and an Uilleann piper (what he described as similar to Scottish bagpipes, “The only difference is Uilleann pipes sound good”), both of whom were very friendly and funny. The Uilleann pipes really do produce a gorgeous sound, a deeper and more broadly ranging tone that, once it gets going, is impossible to resist stomping your foot on the floor to keep the beat. The crawl was my favorite part of the trip so far for sure. Afterward we grabbed more fish and chips (from the same chain, different location, since it was the only place open at 11pm on a Sunday) and wandered over to The Duke, where the piper recommended that we go to hear more live music (on our way in a woman almost ran us over on her way out. The guy following her said to us, with a laugh, “Quick one, in’t she? FOKKIN’ ‘ell!”). The bar tender filled us in on the intricacies of Guiness, which tastes totally different and delicious here. Apparently there’s a bar in Spain where the owner meticulously cleans the pipes once per week, which makes the Guiness taste “gorgeous.” He said that Guiness is “like a baby” (very sensitive) and on a cold day the head will be smaller. -A singalong is called a sing-song. We crashed in bed and played Draw Something for a little while. I’m actually writing this in the lobby the following morning (day 4), with some Italian tourists in the couch nearby since we have trouble getting a wireless connection in our room on the lower level. Yesterday started with rain so we went out to look for ponchos. I asked a couple of guys who were wearing some cheap ones where they got them, and they took them off and gave them to us. So nice, such generosity.